Thirty seven years ago, my husband and I started our married life in Guatemala. After exchanging vows on May 31st, 1975, we arrived in Guatemala City four days later. Ed had a three month grant to study intestinal ailments at the capital city’s Roosevelt Hospital and I was ready to explore. An apartment was found on the top floor of a small five story building owned by a Chinese- Guatemalan family. Our spartan rooms were really the maids quarters but none wanted to live there. We thought it glorious. 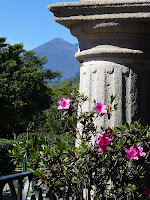 As we walked out our bedroom door each morning to the large patio, a view of the mountains, volcanos, and downtown Guatemala City greeted us. 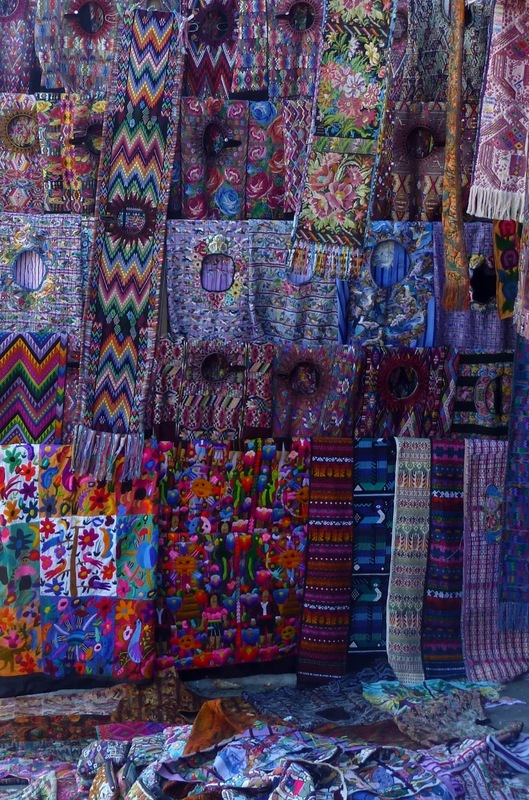 We often strolled to the central plaza, stopping on the return at open-aired markets. A neighborhood store named Tienda Mary, supplied fresh milk and cheese. And we enjoyed an occasional night out at one of the surprising number of international restaurants, German food being our favorite. Most tourists were young and looking for a cheap place to travel. A few organized tours would include Antigua, the beautiful colonial former capital, Lake Atitlan, a volcanic mountain lake, and Tikal, a giant of a Maya ruin. The government was ruled by General Laugerus Garcias, a conservative Norwegian/Guatemalan while “narcotrafico” was not even a word. We thought the traditional garb of the indigenous tribes charming and were unaware of the internal war that was building for native rights. Guatemala simply enchanted us. 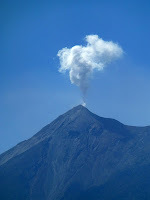 In November of 2012, we returned to Guatemala for our son’s wedding. The country had changed in many ways. Sadly, we avoided Guatemala City because of its high crime rate. The city growth from 715,000 in 1975 to a metropolitan population of 4,000,000 inhabitants has strained roads and air quality. A simple drive from the airport through town revealed Korea and China now have strong presences in the textile industry, Japanese car makers have scooped up much of that market, and American fast food restaurants have settled in, even including a Schlotzky’s. In Antigua, a tour with Elizabeth Bell, an American ex-pat resident since 1969, educated us on many of that town’s changes. The first Spanish language school started in 1969 with 40 students. Today, one thousand students study there, fueling an economy of teachers, restaurants, home stays, and side trips. Most surprising was learning the mayor had been recently arrested for misappropriating public funds. At city hall, accountants were busily reviewing the books for evidence. Ms. Bell was encouraged that this step toward rooting out corruption had finally happened. Tourists to Guatemala have more than doubled in the last eight years, fueling 15% of the work force and one-fourth of the national GDP. Lodging has even become a problem in high season. NGOs are everywhere, helping women’s co-ops, building homes, and teaching business basics. Guatemala is now about 50% “evangelico” or protestant, resulting in a broader array of mission trips from the U.S.
Two changes were obvious. Roads were greatly improved. 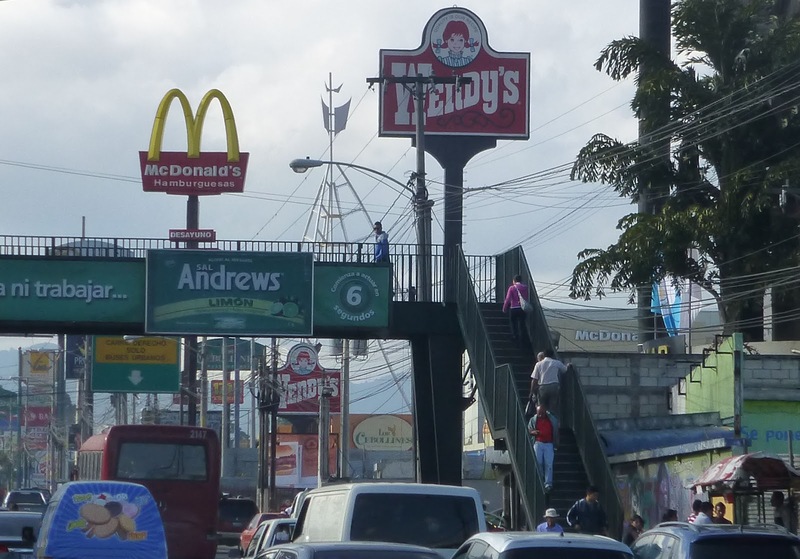 The Pan American highway is now a well-paved, four lane fare way, a far cry from the bumpy, two lane, shoulderless road of three decades ago. And cell phones are ubiquitous and cheap, thus enhancing options for small business owners and farmers and encouraging communication among rich and poor. What hadn’t changed was also significant. 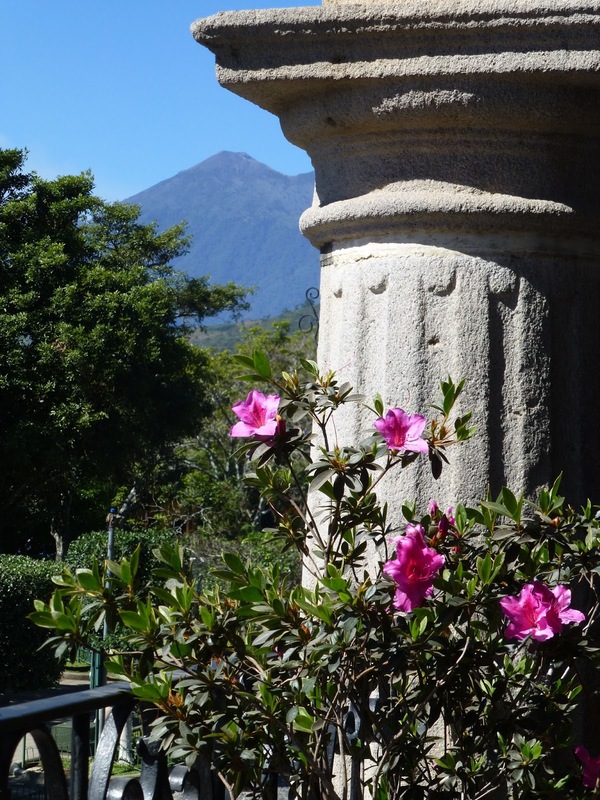 Guatemala is still one of the most beautiful countries in the world with its volcanoes and mountains filled with coffee, sugar and cardamom fields. 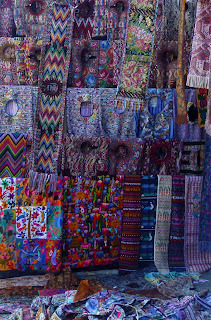 Most indigenous women still wear the beautiful brocade huipiles or blouses, and those fine Guatemalan textiles are now made into every conceivable item a tourist might buy - bags, blouses, shirts, bedspreads, hats, hair bands, bracelets, robes, scarves, dolls, children’s clothes, luggage tags, wallets, and backpacks. And the Chapines (as Guatemalans call themselves) continue to be some of the hardest working, gracious and generous people in the world. The needs are immense. Education (4th grade is the last for many children), roads, health care, women’s rights, jobs, corruption and crime associated with the drug industry all cry for solutions. But this time, there was a confidence and hopefulness among the residents that I did not remember before.